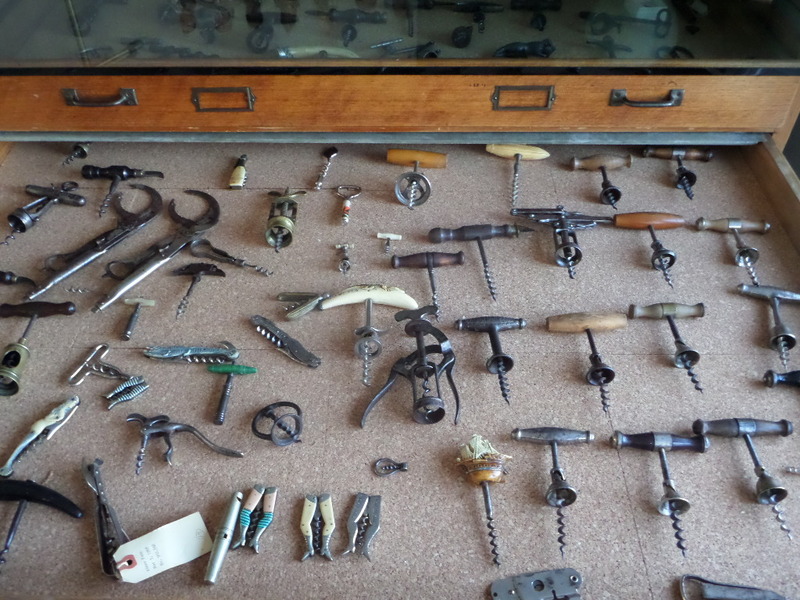 The other day, I received an email from Bob Gilbride asking what Clough medicine corkscrews that I had in the collection, and would they be available for sale or trade. And, along with the request, he also included a list of the ones in his collection. 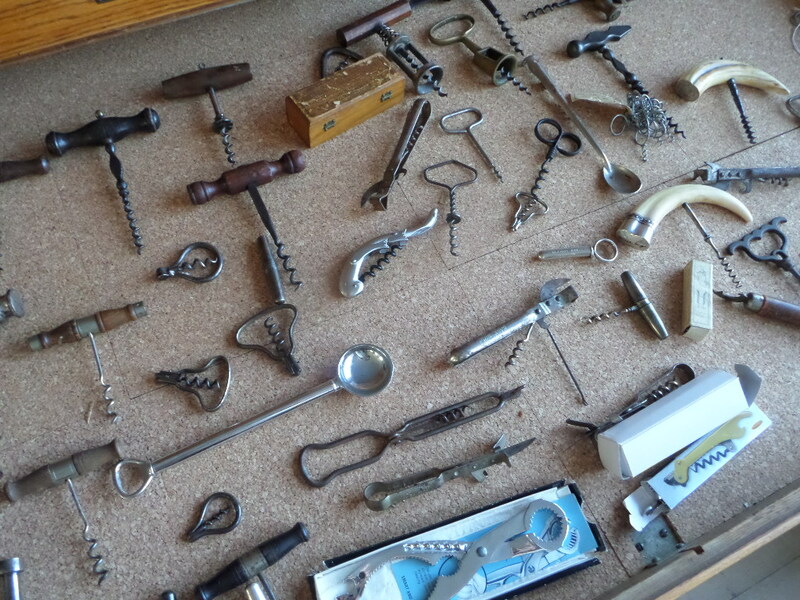 After pursuing his list, I headed over to the corkscrew case and took a picture of the extras that I have. Two of which weren’t on Bob’s list. So, I have two that he wants, what will I get in return? I ran through the must haves, but knowing that the Cloughs don’t command a huge sum, and the fact that we have been friends for years, I settled on another (different) advertising Converse patent. 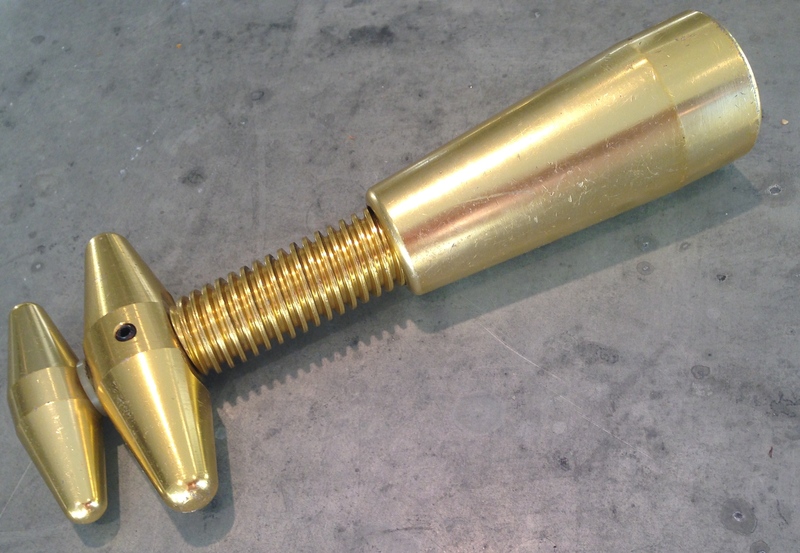 After it arrives, this one will be added to the Maschil Converse Cork Extractor page. If you have a Converse with unusual advertising on the sheath, please drop me a line! There was yet another deal between Bob and I, just recently completed. More on that very soon! Over the last few days, I have been working on a construction project, so my time for corkscrewing around has been somewhat limited. 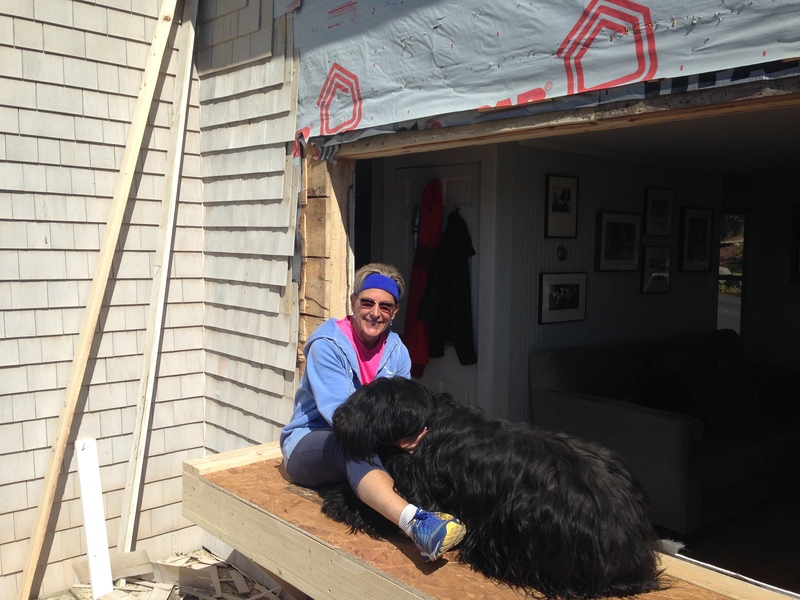 The latest addition to the house, is a small bump out in the living room. 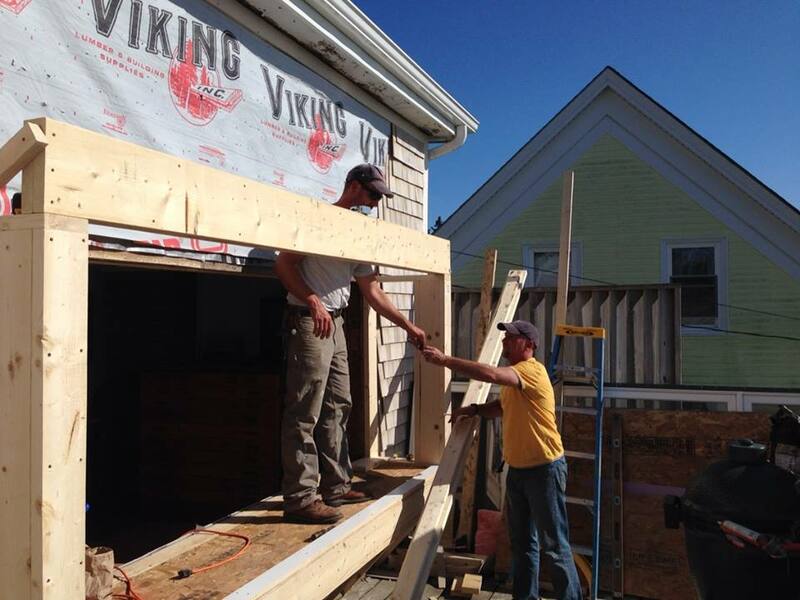 So, with the help from a friend, we removed the existing window and built a platform upon which said window can be reinstalled, framed some walls, and then added a roof. 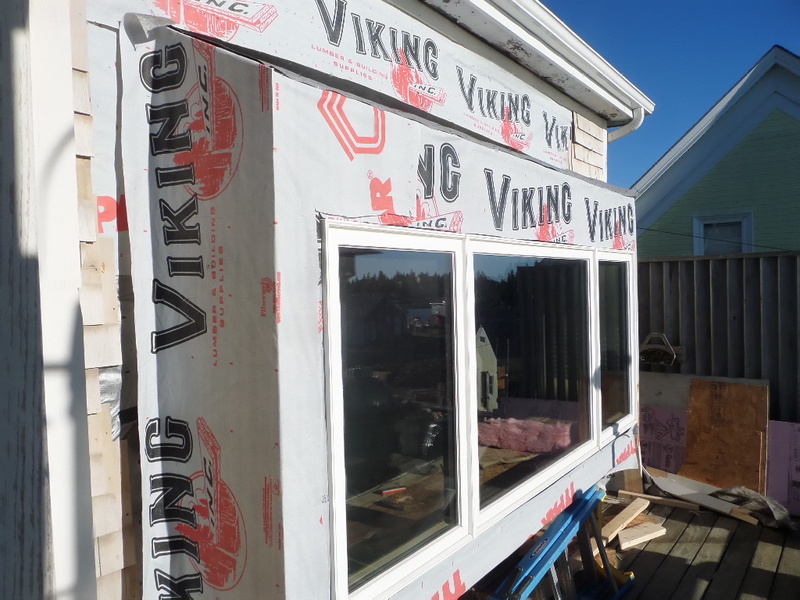 As of today, we are all buttoned up, with insulation in the walls, and tomorrow we will trim it out, roof it, and move inside to do some electrical, sheetrock, and put on some finishing touches. 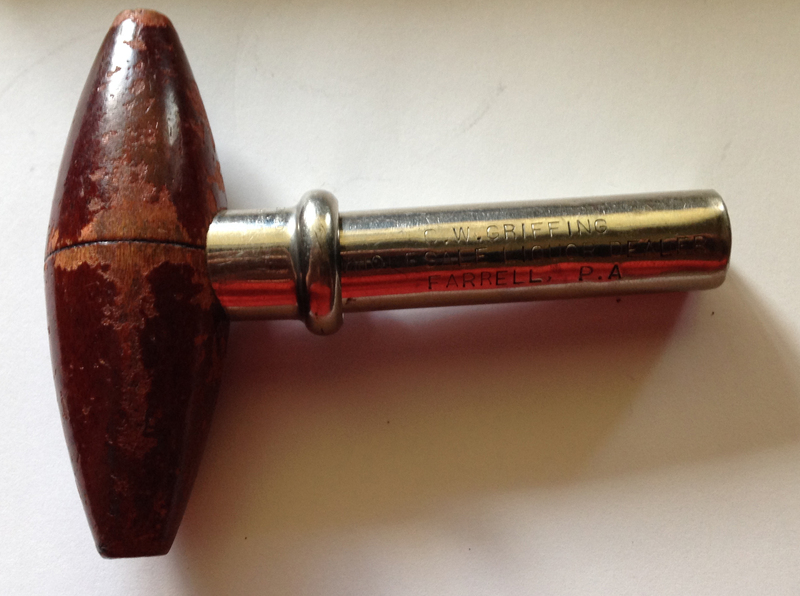 …it turns out, this is Peter Ambjornsen’s 1922 Danish patent DK 30,276. 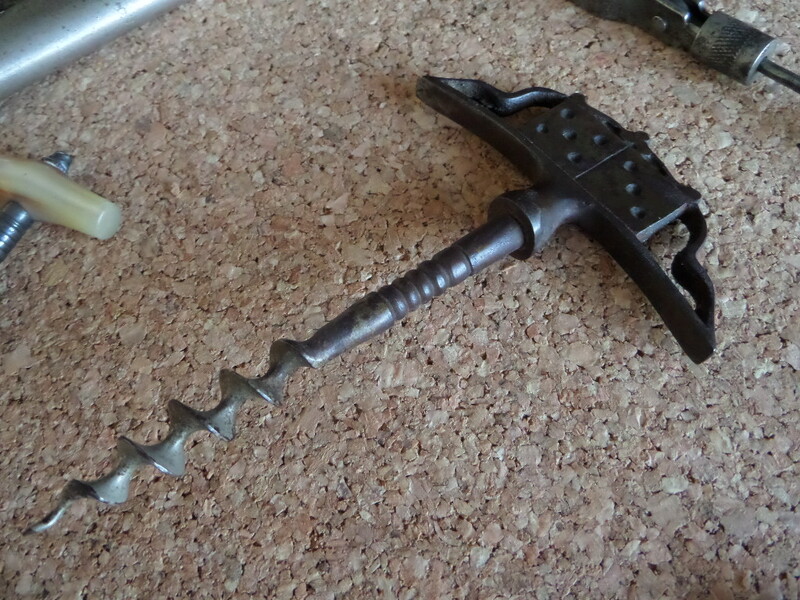 More on the remodel (and corkscrews) soon! This one would be the on the most wanted list! 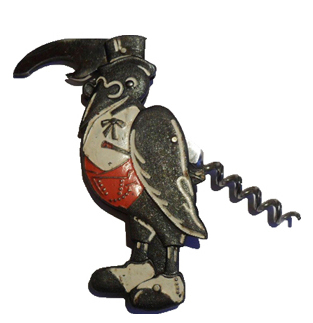 Recently, I got word that a figural crow corkscrew had recently changed hands. And, if the person that recently acquired it should want to part with it, I figured that I would put it out there that it is on my want list. After a great dinner at Local 188, alarms were set for an early morning. And, at about 5:30 this morning, we were headed for the airport. Having dropped TC off, I started the drive back to Rockland. Being as early as it was, there was little traffic, so I managed to hop on the 8:45 boat back home. 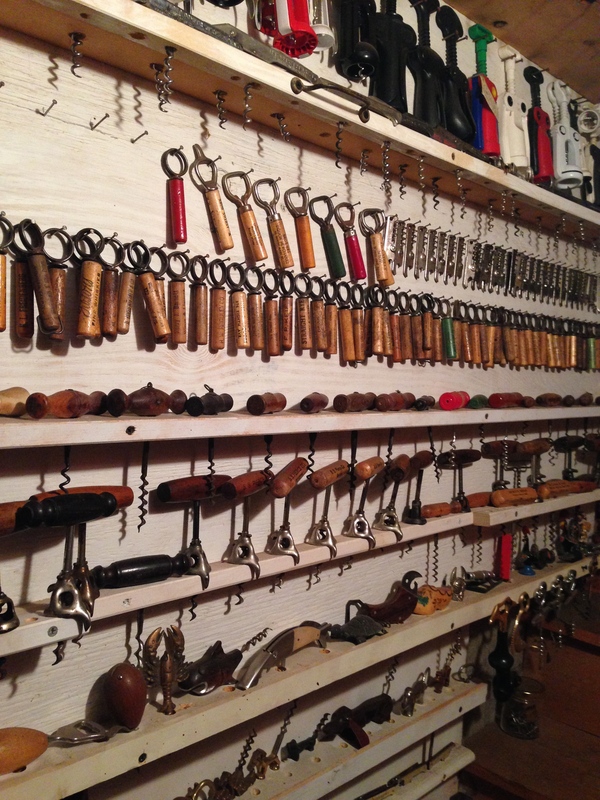 And, after a bit of coffee with the lovely personal personal trainer, she is back at her studio personal training, and I am unpacking and placing the corkscrews mentioned yesterday into their appropriate corkscrew departments. Also waiting my arrival back on the island was the nickel plated Frary; I am quite pleased! 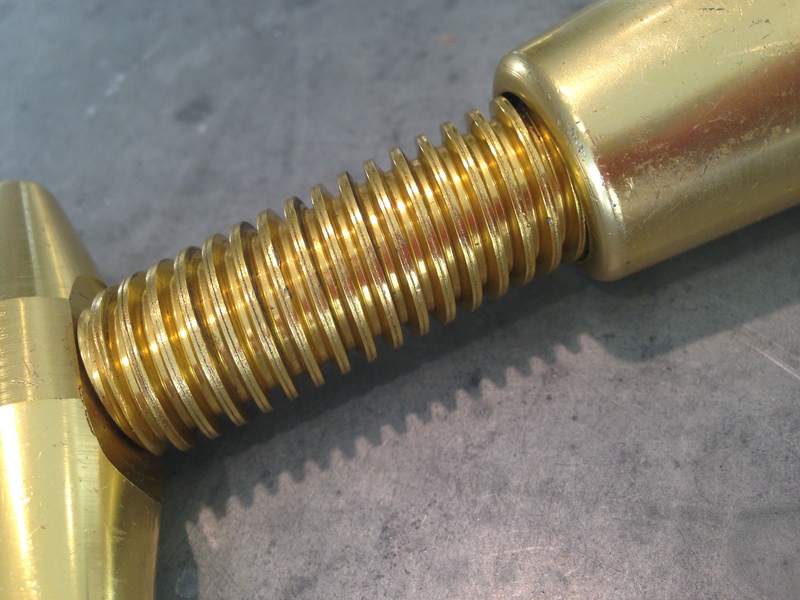 And, for comparison his the bronzed example next to the nickel-plated example. 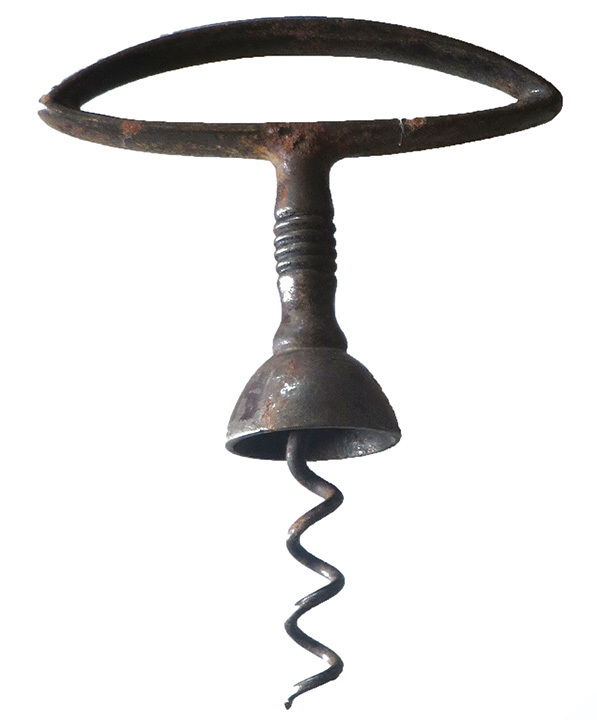 More corkscrew news as it happens, stay tuned! On Sunday, we started with a morning run. 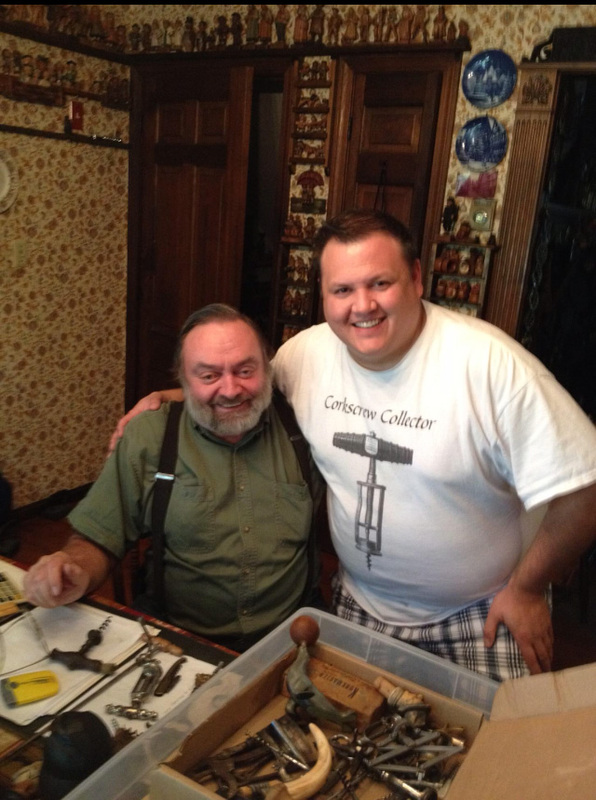 That would be the lovely personal personal trainer and I.
Tommy kept an eye on the what corkscrews were remaining in the collection after he went through the corkscrew case a third time. 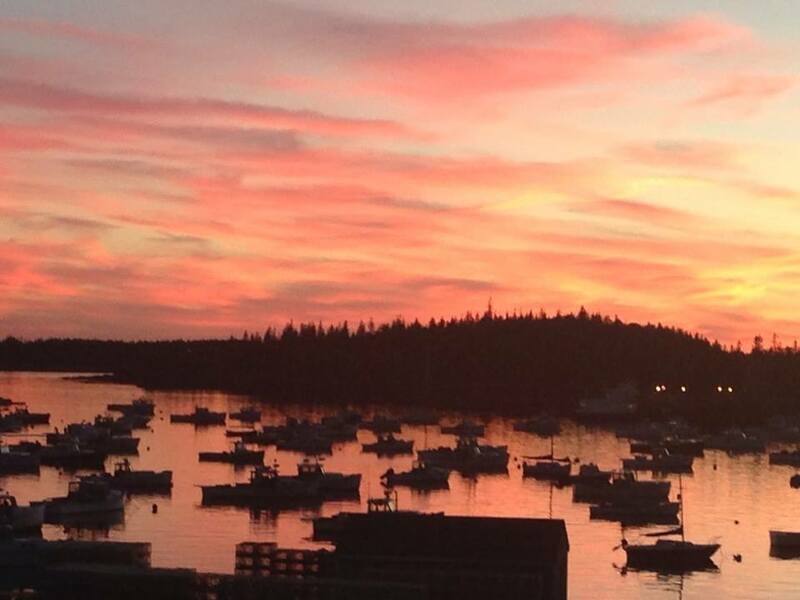 It has been spectacular the last few days on the island. 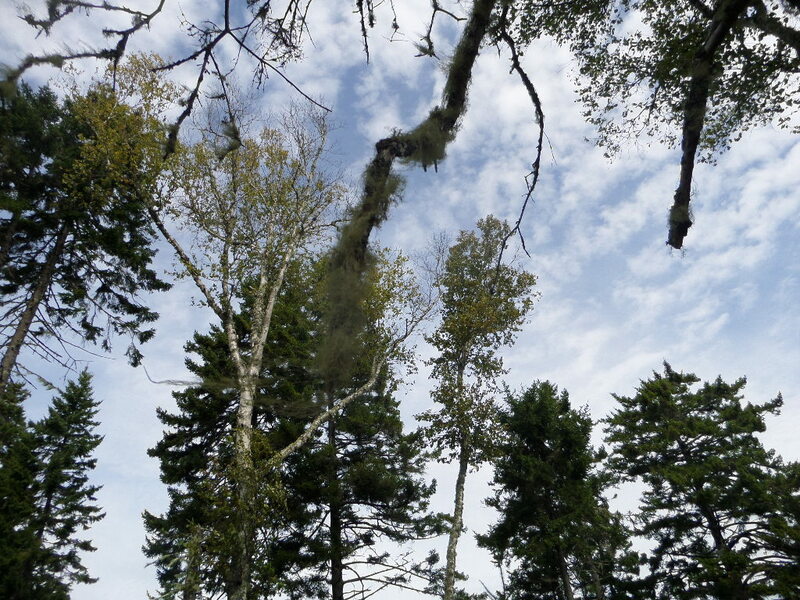 The air has been crisp, and it is obvious fall is in the air. 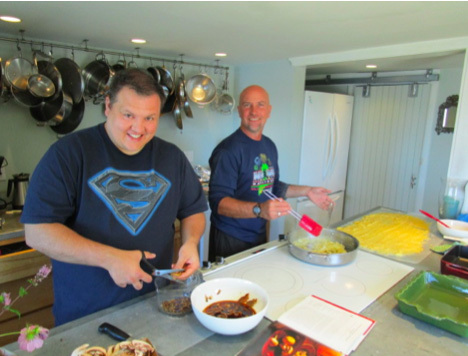 After the run, there were some chores to be done, one of which was preparation for a small group dinner. Pasticciata con Salsa di Funghi does take a bit time to make. This would be accompanied by filet mignon on the grill, but the pasticciata did indeed take a little prep. With the pasticciata taken care of, and corkscrews having been rifled through for the seventh time, we headed off to brunch at Salt. Mimosas for some of the party, a bloody for me, and a glass of French chard for the lovely. After brunch, we took a brief drive to another part of the island, and reminisced about the various times Tommy had been to the island. 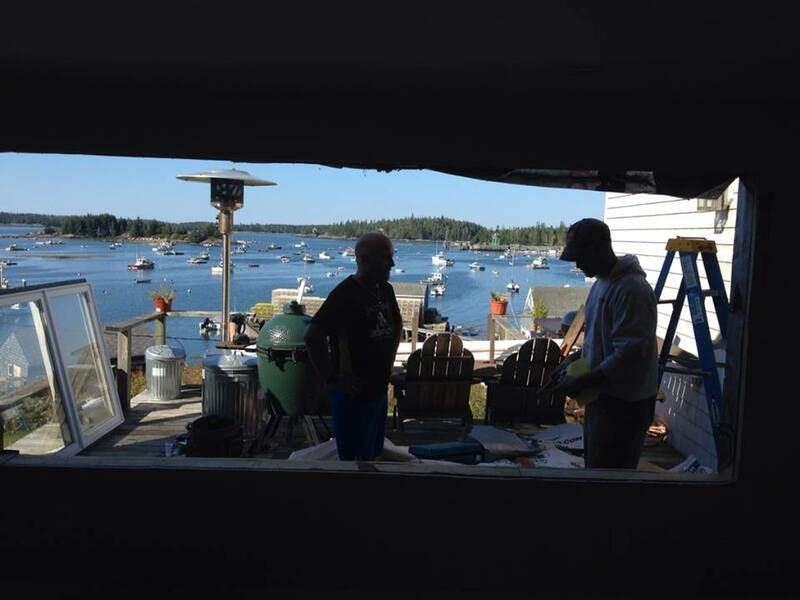 With more prep work needed for dinner, and a bit more corkscrew deals to make, we headed back to “Vinohaven,” where after a bit of cleaning up, and sous cheffing, we ended up out on the deck enjoying the day–accompanied by some rosé. Chatting about this and that, we kept an eye on the time, to ensure we started the charcoal in time for the filet mignon. At the appointed time, Mark and Carol (the lovely sister in law and her husband) arrived with wine and salad, and in short order it was time to put the finishing touches on the steaks, and pull the pasticiatta out of the oven. Following dinner, and a few bottles of wine, we moved to the living room where ultimately Tommy and I would make yet another corkscrew deal. 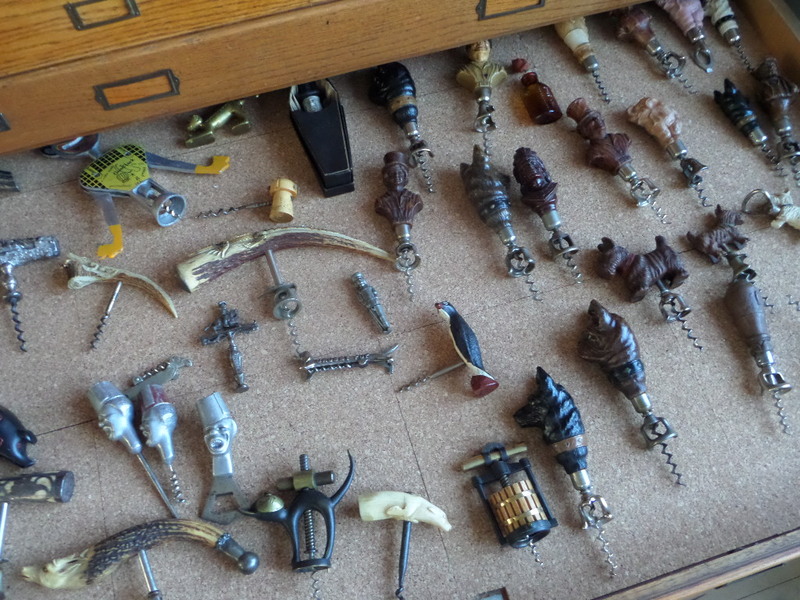 He had picked a couple more corkscrews from the case, and I offered up some very old Syroco catalogs. This morning, we got up fairly early and while the lovely personal personal trainer was personal training, we packed up Tommy’s treasures, and got the car ready for our drive to Portland. And, after the lovely’s return and some goodbyes, we headed off for the boat. 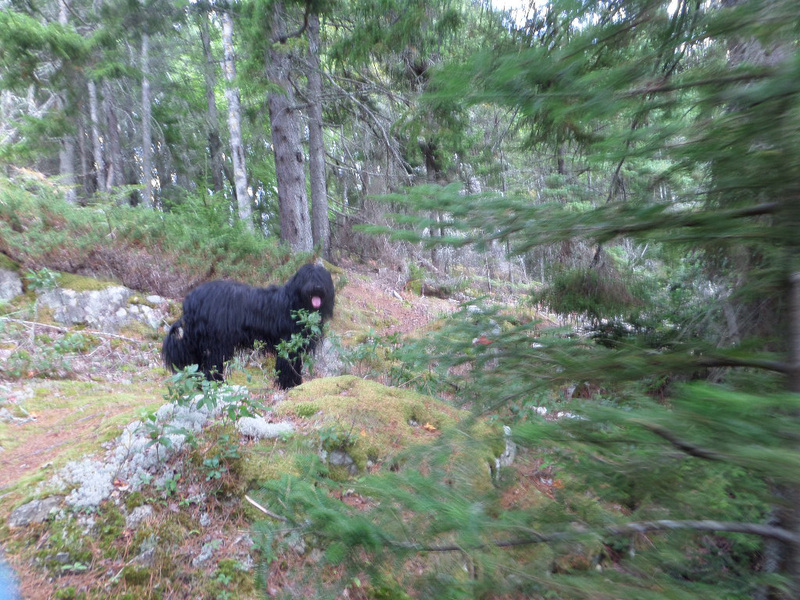 After a fairly long errand, to August and back, to retrieve our car that was in the shop, we were off on another adventure. Destination New Hampshire! 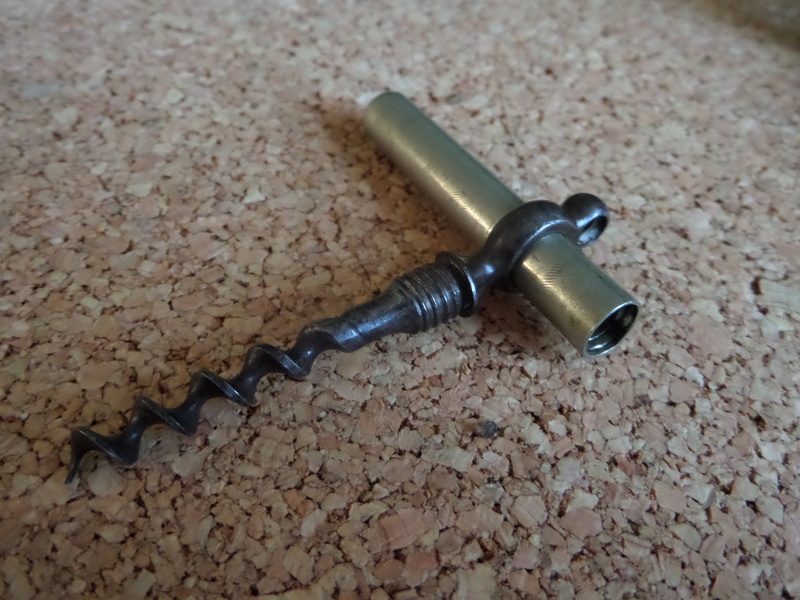 Now, New Hampshire is actually past Portland, but knowing that we would have a little time on our hands, I made a phone call to a friend in New Hampshire that collects corkscrews. We have made trades in the past, and while Tommy has never met him, he knows his son. So, zipping down past a myriad of antique stores (not stopping at a single one) we ultimately made it. And, over the course of the next hour and a half, stories were shared, corkscrews changed hands, and a good time was had by all. Tommy did end up buying a few (12 to be exact). And, I sold a few, and came away with two. 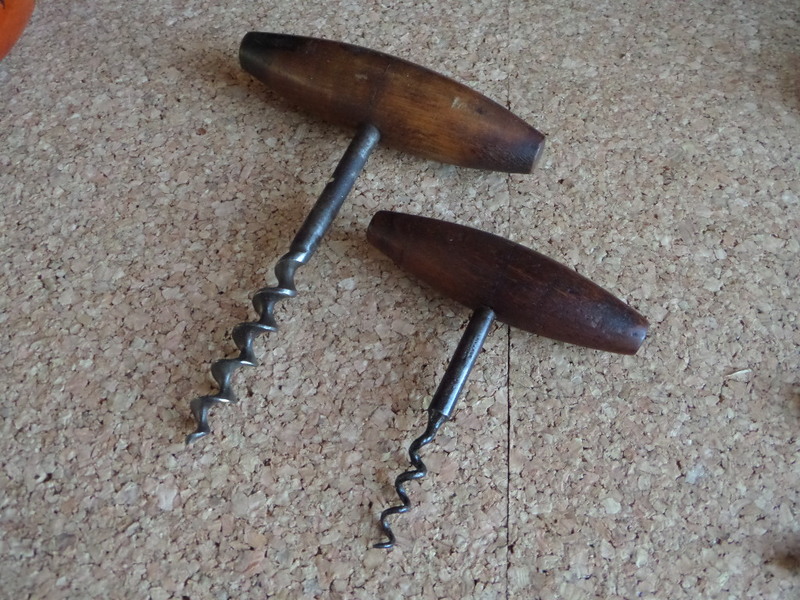 An interesting Henshall type, and an nice tin Haff patent corkscrews which is identical to the one that I auctioned off at the ICCA AGM in August. Pictures of these, and others from our adventures to follow. Tonight, we are headed over to Local 188 for dinner, and in the morning I will take Tommy to the airport. 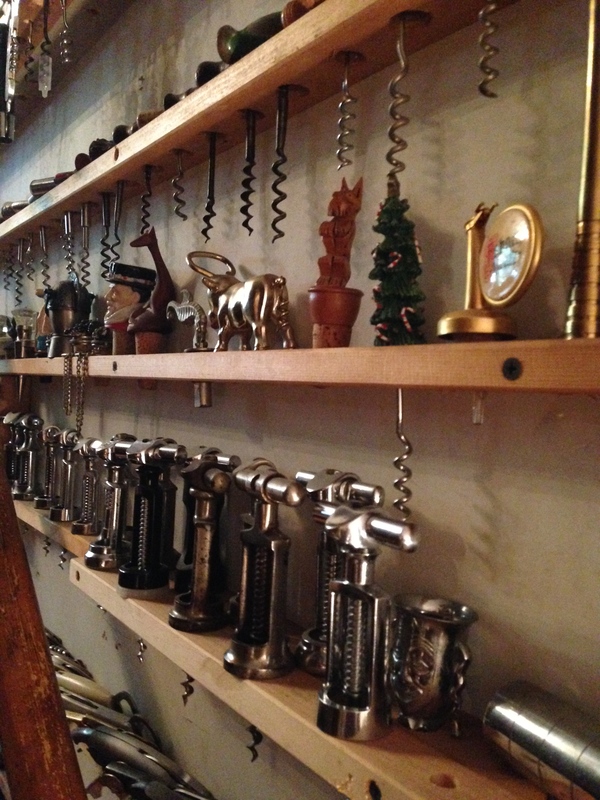 A great visit, and while we only hit two antique stores the entire time, there were indeed a lot of corkscrews! 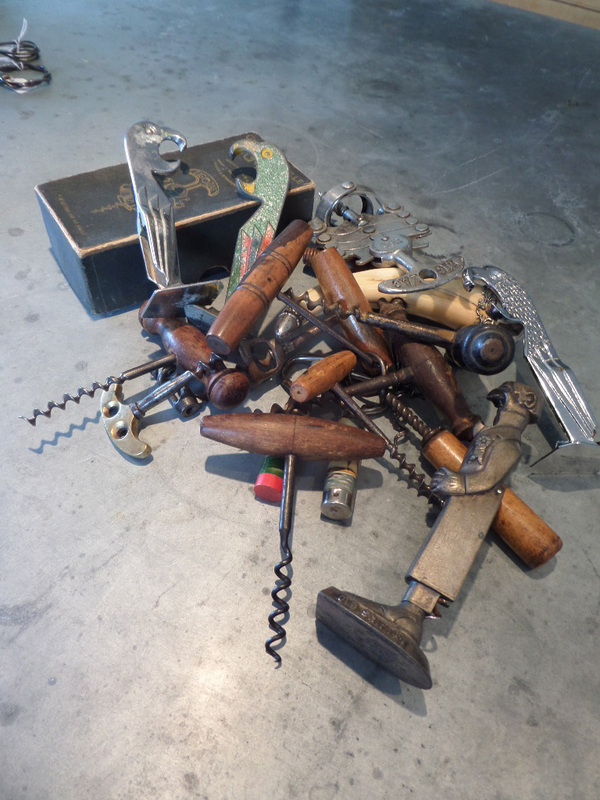 Saturday, we had a leisurely morning, and following a bit of digging around in the corkscrew junk box, Tommy had made himself quite a pile of corkscrews, and proceeded to negotiate a price. 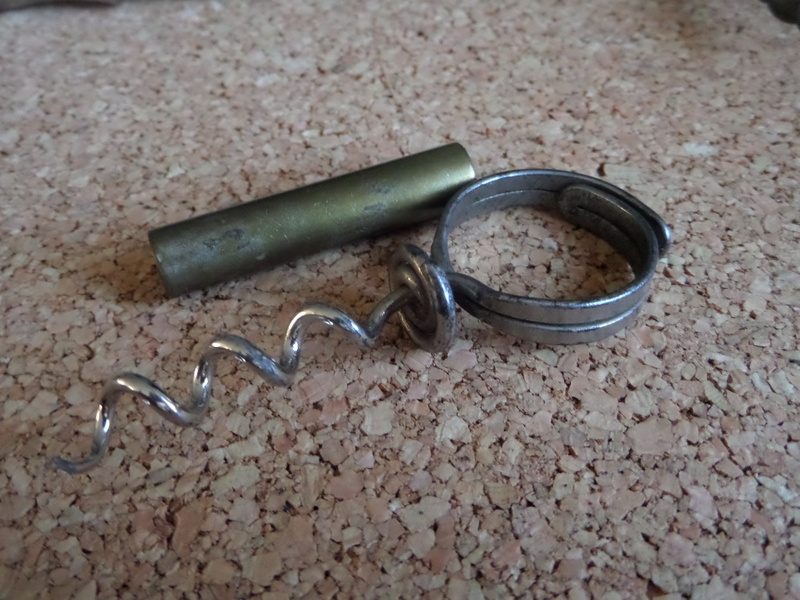 Now a few of these, didn’t actually come from the junk box, and had indeed made their way OUT of the corkscrew case. 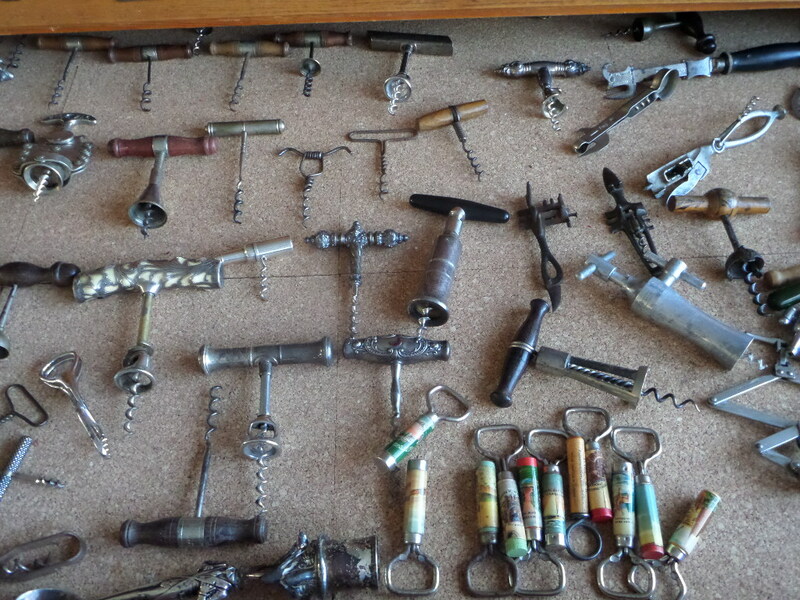 After looking at what Tommy was trying to acquire, a few made it out of his pile, and back IN the corkscrew case, and negotiations began. Being fairly far apart in price, negotiations were abandoned as breakfast was ready! 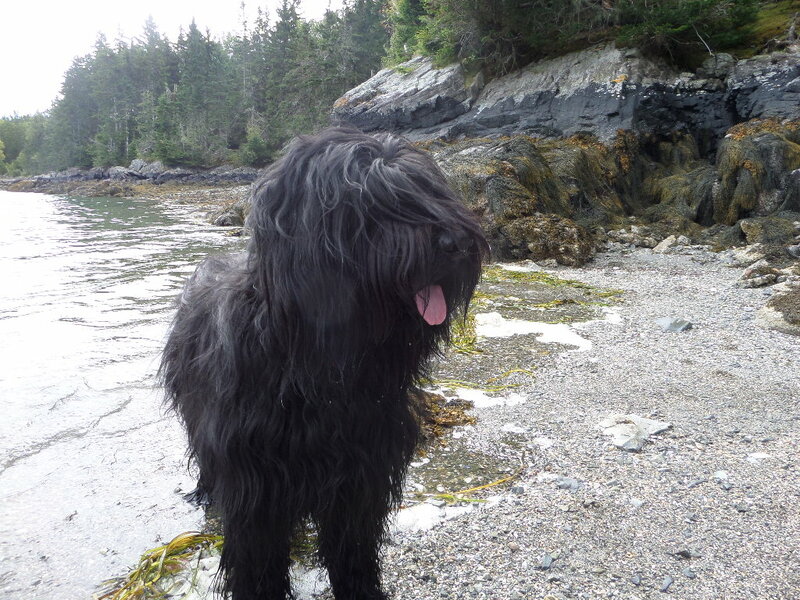 Following breakfast, Tommy, the lovely personal personal trainer, Philos, and I headed off for a hike at one of the island’s many nature preserves. 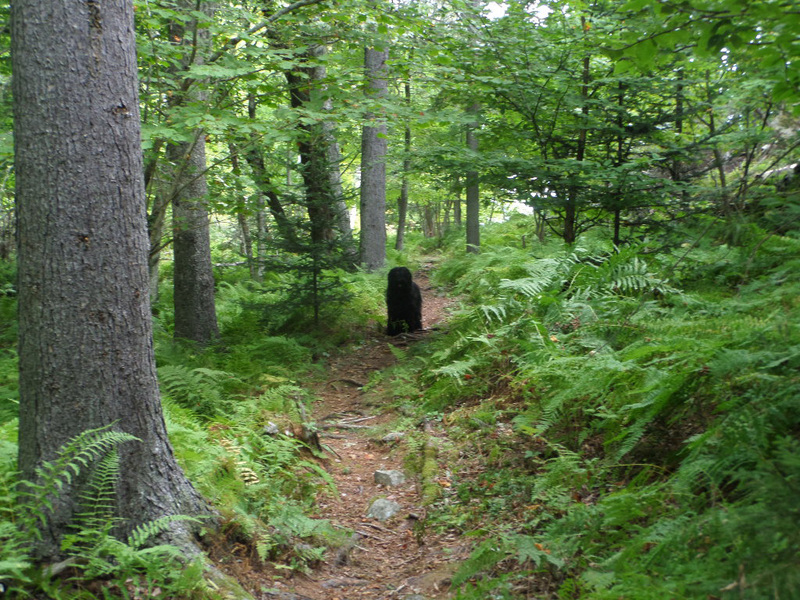 Following the hike, it was back to the house, back on the deck, and mimosas flowed–as did the conversation. That said, as the sun was out, there were intermittent moments of just basking in the sun and enjoying the warmth. Mimosas and lounging was followed by lunch and more mimosas. 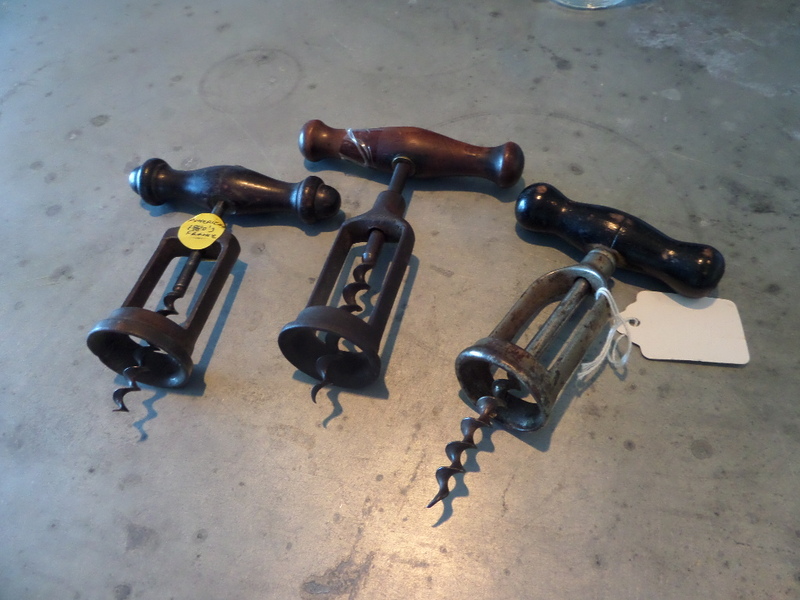 And, a bit of haggling over the aforementioned pile of corkscrews. Tommy came up a bit in price, and I came down a bit in price, and the deal was done. Following lunch and mimosas, we cleaned up a bit, and then TC and I headed to the wine shop to do a consultation and tasting for an upcoming wedding. 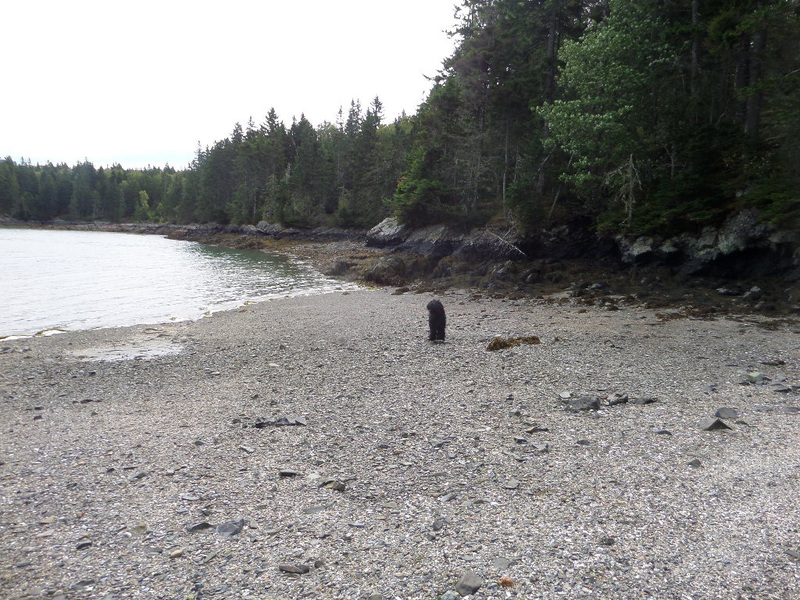 At about 6:45, Tommy, the lovely personal personal trainer, and I (Philos had to stay home) headed off to the opposite side of the island, where after parking the mini, heard a small skiff approaching. 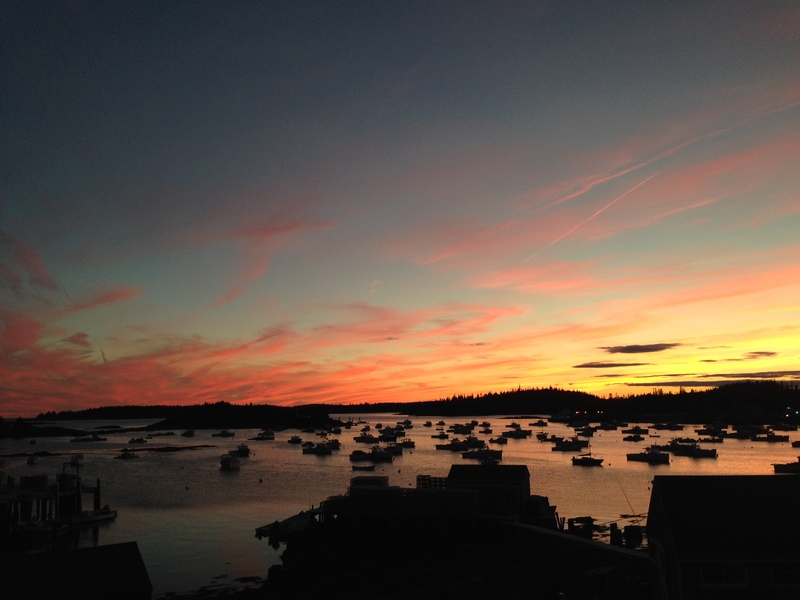 The timing was perfect, as our ride to North Haven had just arrived. After climbing into the boat, we were soon whisked across the thorofare to North Haven where we would enjoy a fantastic meal at Nebo. The food was fantastic, the service quite nice, and by the time we had our coats, the skiff was ready to take us back. 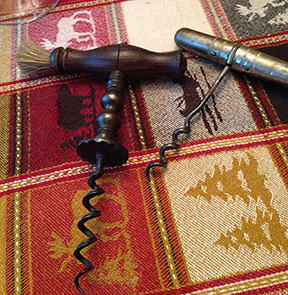 A great leisurely day and evening filled with wine, food, a few corkscrews, and conviviality!!! Yesterday, I drove down to Portland (and after a brief stop at Trader Joe’s for some supplies) headed to the airport to pick up Tommy. 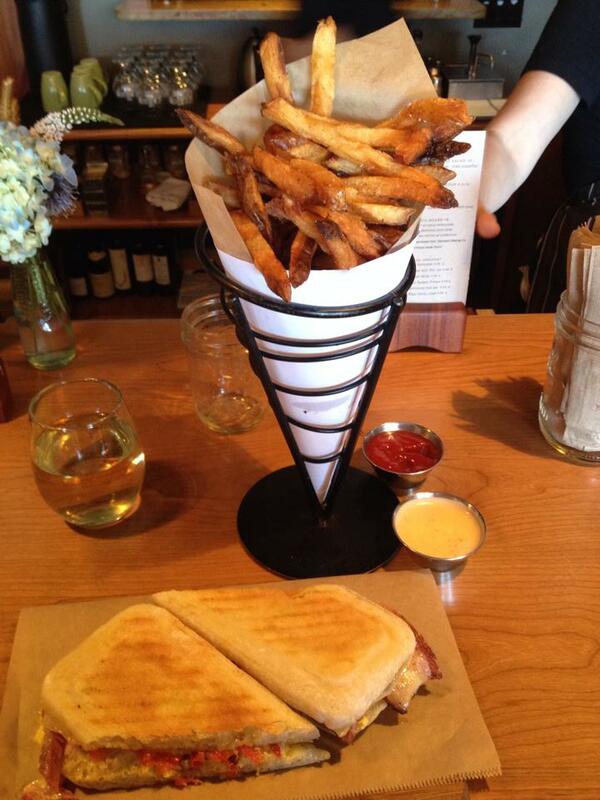 After a stop at Duckfat for lunch, we hit the road. No antiquing, as we had to catch the boat. And, as we drove past antique store after antique store, there was a little twinge of pain as we zipped by. As it happened, we didn’t stop at all. Right on schedule, we pulled into line for the last boat, and now that we had secured a place, we had a little time. 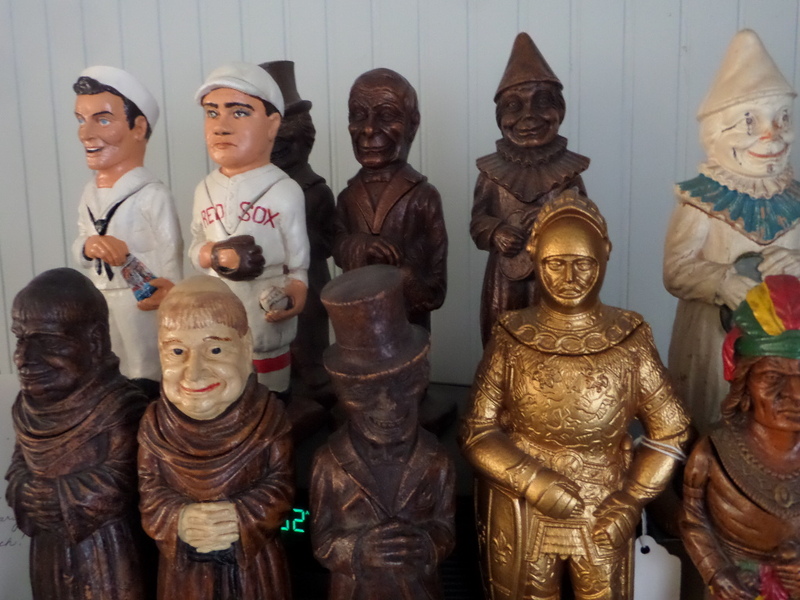 So, we walked over to the local antique mall, and bought nothing. 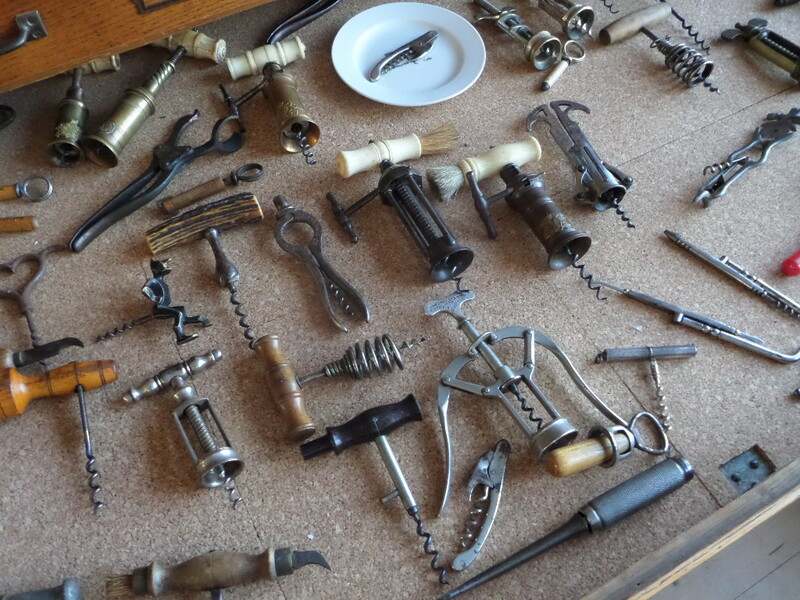 Then, we walked over to another place where I knew there would be corkscrews. And, Tommy picked up three of them. Interestingly enough, two of them used to belong to me, as I had sold them to the antique dealer last year. Tommy struck a deal, and seemed quite happy. 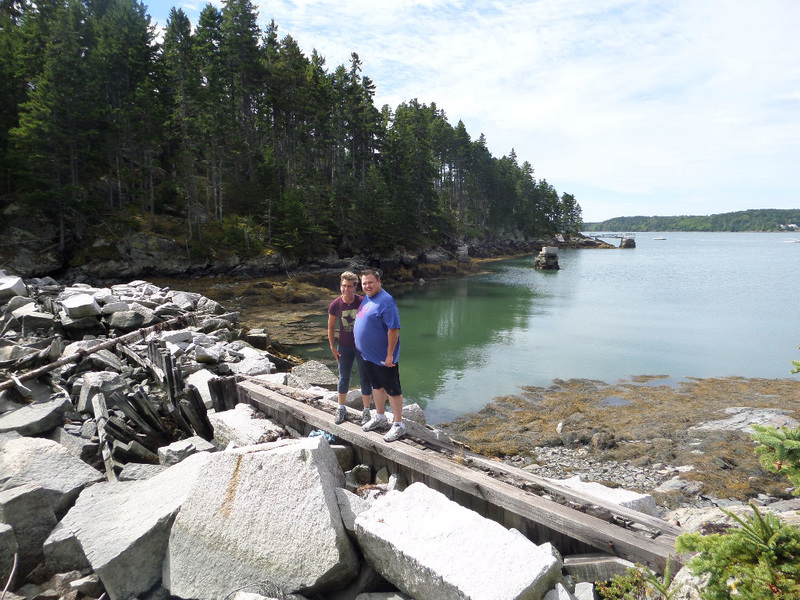 After a few more stops, we boarded the boat, and after an hour or so landed on Vinalhaven. The lovely personal personal trainer was there waiting for us with a couple of friends, and we enjoyed wine and apps on the deck. 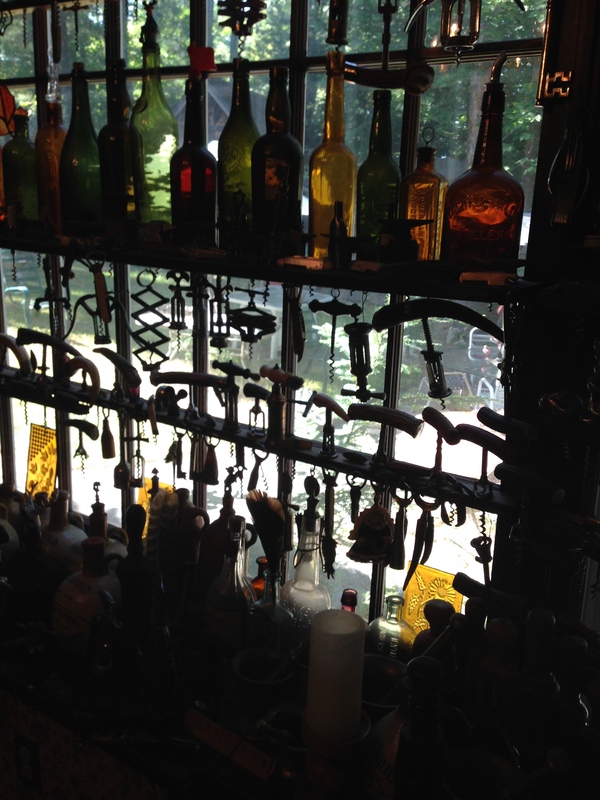 After our friends departed, there was a little time for a little corkscrew viewing before a yummy and hearty dinner. Today, we have no real plans for the day. 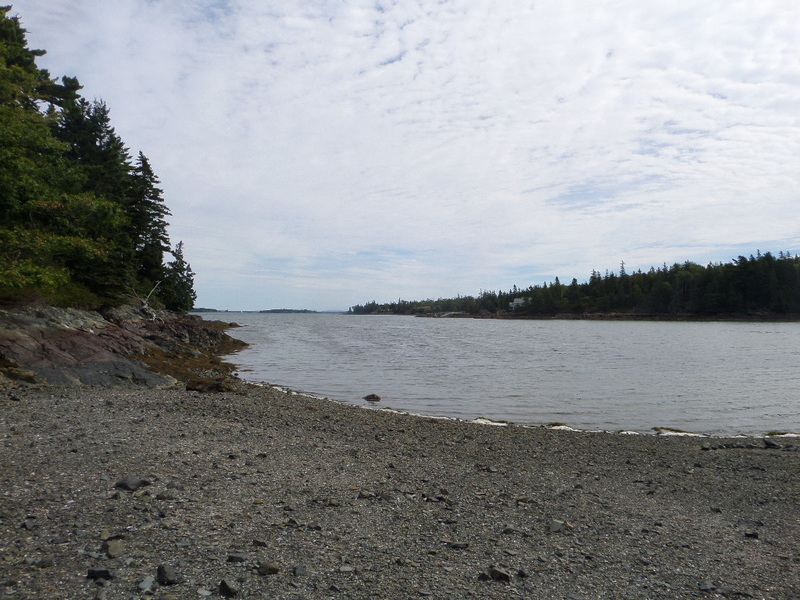 Just hanging out, perhaps going for a hike, and then tonight we will hop on a skiff, and head over to North Haven (a neighboring island) for dinner at Nebo Lodge. 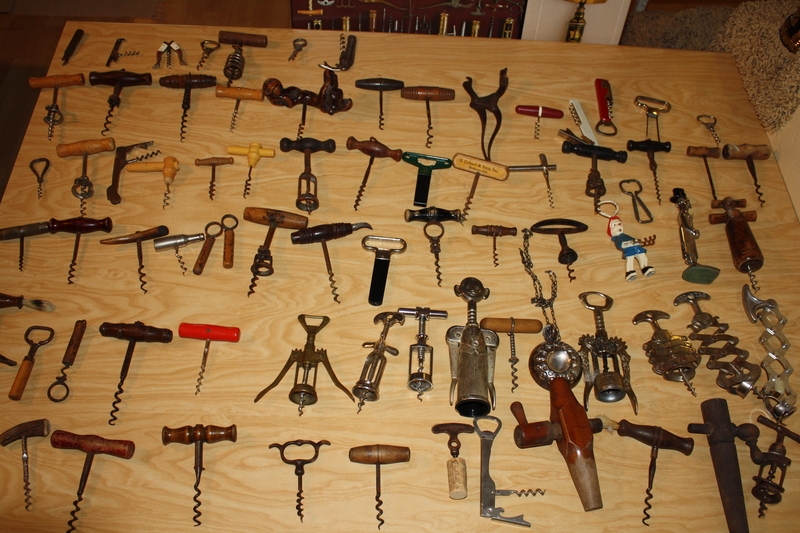 No corkscrew trades have been made as of yet, but that could change any moment. 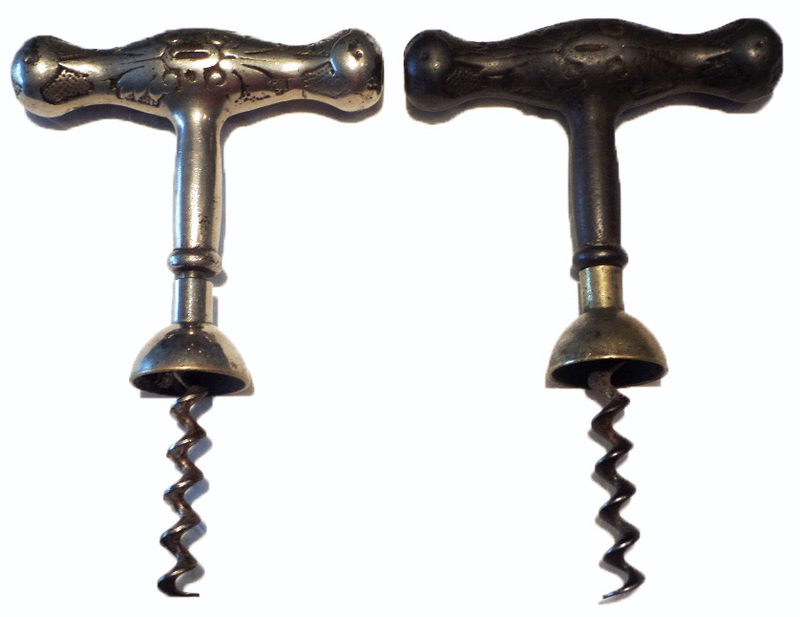 Yesterday, I had mentioned the squashed handle Frary bell assist, which would make for the 18th variation in the collection of corkscrews made by James D. Frary. I know, I am obsessed. 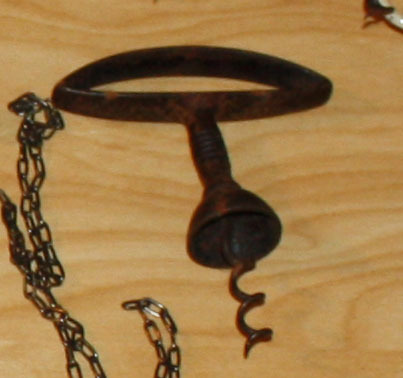 Interestingly however, RL recently picked up the decorative handle Frary with the bell assist. And, while I have long had that type (and actually have owned several) the one that RL found looks to be a full-nickel plate example. Knowing that there are two different finishes, and that RL isn’t really attached to Frary (unless it is his example of the Gundlach, which he treasures), I figured I should make him an offer. Deal, Done! 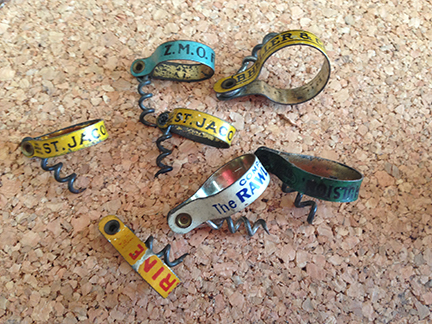 And, there are soon to me 19 variations in the Frary corkscrew collection. 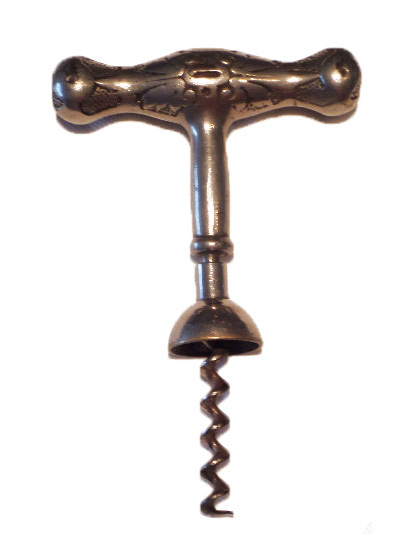 Speaking of, here is the aforementioned squashed oval handle Frary with integrated bell. 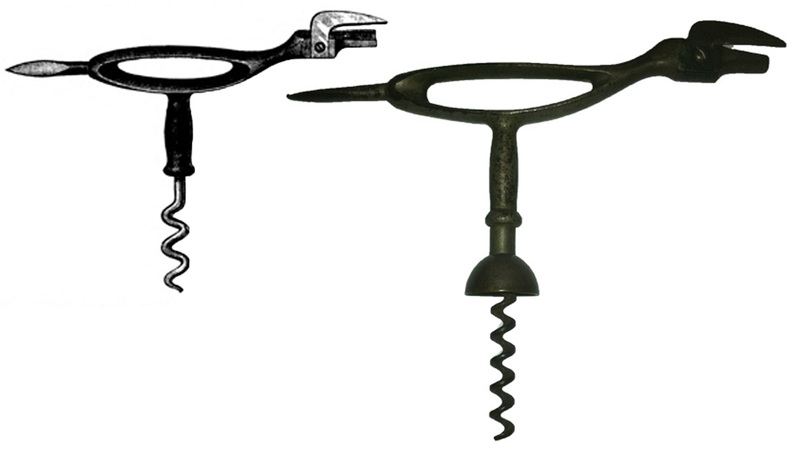 When the shiny Frary from Robert arrives, these will be added to the Frary Corkscrews page. As mentioned yesterday, it does seem that each of us has collections within our collections, or mini collections within our collections. 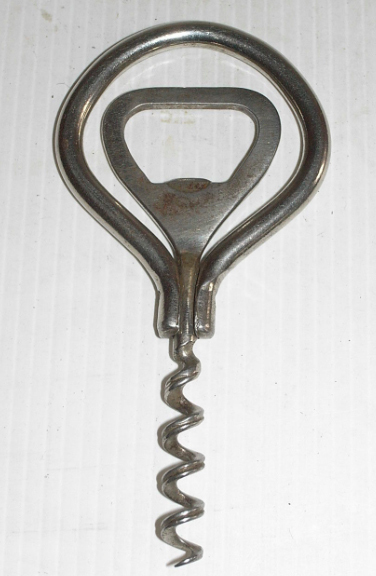 And, for Ian, as you may have read, besides Adelaides, can openers with corkscrews, Alessis, and others, he has a certain fondness for Valezinas. And, the Norm Thompson Valezina that he was after arrived, and it has, as he described, much tighter threading than other examples. 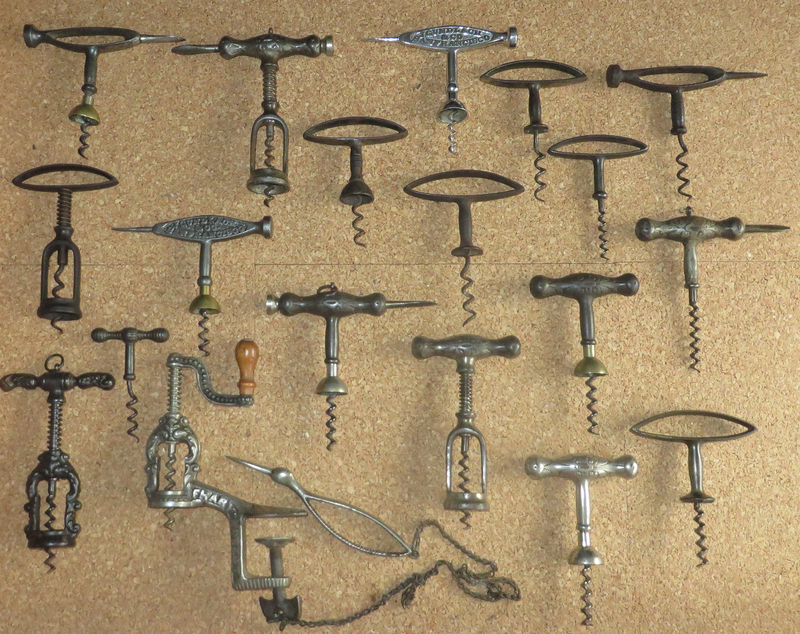 In my own collection within a collection obsessed world, I was sent an email the other day asking if I was interested in purchasing a small collection of corkscrews: close to 80 of them to be exact. I looked at the picture, estimated the value of the entire collection and came up with a price. Of course, given that much of the collection would be duplicates, I responded to the seller with a few options. ☐ I could give guidance and help them sell the collection. ☐ Perhaps send the photo to other collectors, and solicit offers. 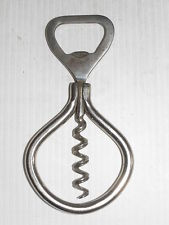 ☐ And, would they be willing to sell one piece that I would like to add to the Frary corkscrew collection. 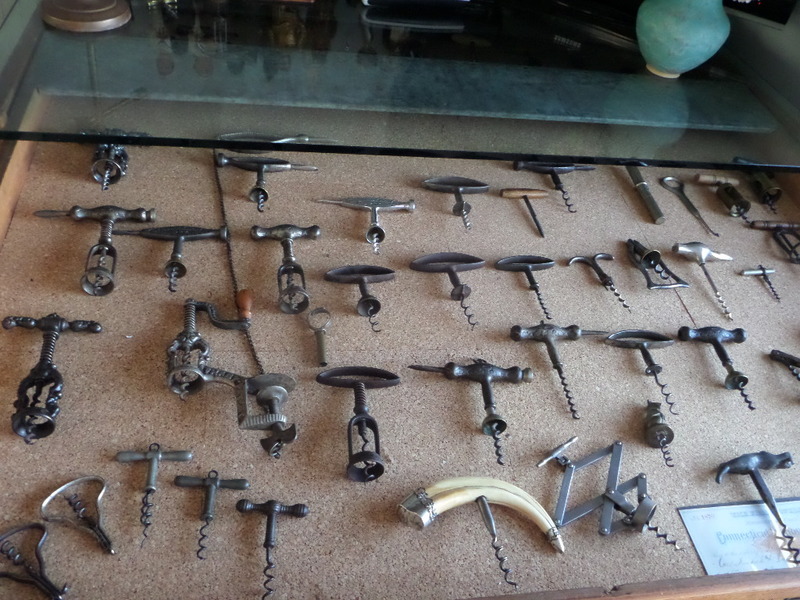 Yes, there is a Frary like corkscrew within the collection! 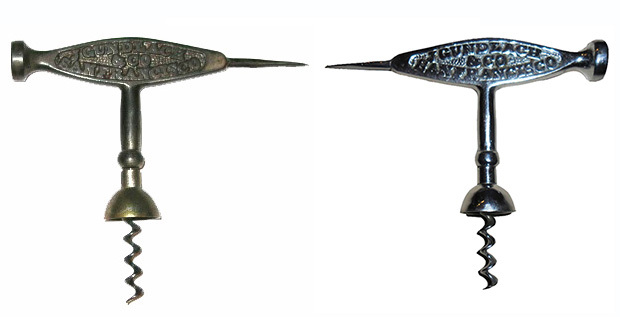 While we cannot be definitely sure, as the Frary Catalogue has yet to be discovered (not for a lack of trying), the squashed handle looks remarkably similar, and I am betting it is indeed a Frary. Now, Fred has this, and to this point he has been unwilling to give it up (not for a lack of asking on my part). And, Barry managed to grab one last year from another collection. (Not that I am trying to keep up with the Joneses–or the Taylors or Kincaids–mind you). 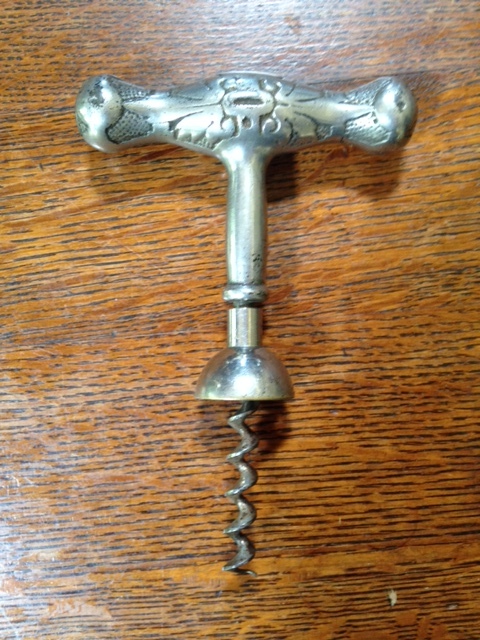 This will be a nice addition to the Frary corkscrew collection (within our collection) and puts the Frary-ations count at 18. I will provide more photos after it arrives in a couple of days! And, be sure to send pictures and descriptions of your collections within your collection for inclusion in a future blog!